A new football season is upon us and we now have more ways than ever to show your love for your favorite team with the items on your desk. Our newest series will not only show off your colors, but even offer a rebate that will let you get even more of your favorite NFL merchandise! NFL Scotch Tape dispensers and Post-It Note dispensers are still around this season. 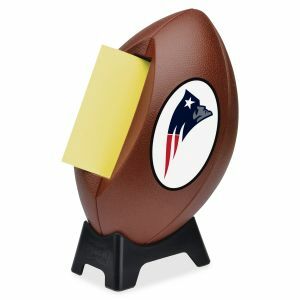 The Scotch Tape dispenser takes the form of your team's football helmet while the Post-It dispenser puts the logo on a teed football. Get these products while they're still available! 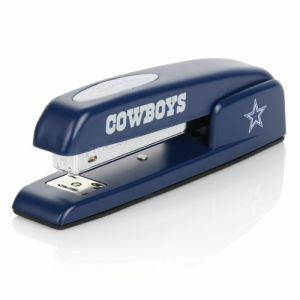 Our newest NFL product is a Swingline stapler featuring team colors, logo and name. These are the popular metal Swingline 747 model, decorated in NFL glory. 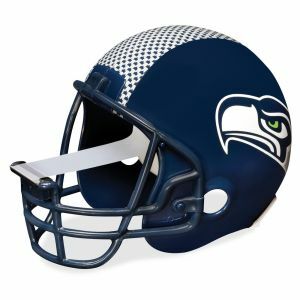 Only about half of the teams are available at this time, but more popular teams like the Steelers, Cowboys and Packers are in stock. Even better, the NFL staplers are part of a larger rebate with Acco Brands! These, along with other great items like Quartet dry-erase boards, At-A-Glance planners and GBC presentation materials, are eligible for a rebate that will get you a gift card for NFLShop.com. You could earn up to a $100 gift card, so check out all the details here. The rebate runs through the end of the year.